V. Raghuraman has over 34 years of experience in the energy sector, energy management, energy conservation, industrial engineering and climate change. He was the former Principal Adviser with the Confederation of Indian Industry (CII), Secretary General of the Associated Chambers of Commerce and Industry of India (ASSOCHAM) and Deputy Director General of the National Productivity Council, Chairman of the World Energy Efficiency Association, Washington DC. He is a Director of the Orissa Sponge Iron Limited. India has set a carbon intensity target of 20-25% by 2020 from 2005 levels. How achievable or ambitious is it in your view? In my opinion, it is easily achievable. We can visualize it in the trends of lowering of the energy intensity, so there is no doubt that we will be able to achieve it. Also on the basis on our GDP in dollar terms, rupee is going to appreciate and not depreciate. I strongly feel that 20 to 25% is not a big deal at all, it is really doable and with the trends being observed since 2002, we are moving on the right track. 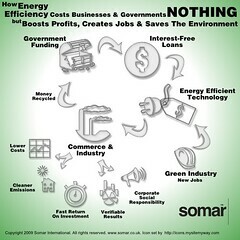 Which form of non conventional energy has the maximum scope in India? Our government is currently focussing a lot on the national solar mission. It is a very ambitious target and I think the solar energy can withhold in long runs, while in the short run we can have a mix of wind and biomass and other resources. There are already several problems being faced in biomass projects due to shortage of raw materials and also due to scalability issues. There are also issues of weather conditions and financial issues, unlike other countries where it is not just waste but actually being utilized in one form or the other, and is well monitored. We are facing several problems in putting up community based biogasifiers and other techniques, but surely there are cases of utilizing some of these in the niche areas like developing bio fuels and using it in a distributed manner and not just focussing merely on automobiles. These are the areas that can be plugged in but these are not going to make a major impact, and can be thought of only for the short run. The main reason being we are having very limited land space in our country, and biomass and wind energy projects are not as feasible as it is in other countries. 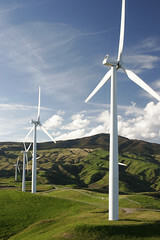 What are the main limitations to the mass scale adoption of non conventional energy like solar and wind power projects? Non user-friendliness is often the hindrance in the path of successful installation of non conventional resources. A good analogy can be the mobile phone- user friendly for some and a headache in operation to others. It is not like the cooking stove which is convenient in use and also user friendly for women. Also there are end number of problems associated with the adoption of these resources accordingly with time space and the domain in which it is discussed. For example, with biomass, the technical biomass management is not easy. While biomass is prepared in the form of bricks, they are hygroscopic and absorb moisture due to which they cannot be used during monsoons. There are also storage issues since biomass is easily inflammable. What are your views on the National Missions on Enhanced Energy Efficiency? How ambitious is it? I think it is very ambitious initiative from our government. I have been personally associated with the program, and it is a program under which significant growth has taken place. Today there are thousands of energy auditors all over the country. Government has also started the energy efficiency training certification program, which encourages all limited companies to be energy audited and they either have to buy or sell credits depending on their performance. More and more sectors are adding up, like recently buildings sector has been added. Energy labelling has become mandatory. Also public awareness which is the major dragging force for the success of a project has shown good progress and is one of the good programs to be conceived and implemented. Has energy efficiency received the attention that it deserves in the backdrop of climate change? Energy efficiency is receiving plenty of attention as it makes sense and also I don’t think there is any such backdrop in the efficiency path. India has been on the forefront of energy efficiency much before people started talking about climate change. The energy conservation bill was enacted in 2002 much before the climate fiasco. India has created 5000 certified energy auditors which are doing best of their jobs. No other country has this much implementing quotient as we have. Given your experience in CII, how do you think can industry associations play a role in promoting energy efficiency? Industry associations have a good role in promoting energy efficiency, like CII and FICCI, which are already working in this sector. Industry associations are doing a good job in actually creating awareness and capacity building in this country. What do you think is the role of R&D industries in the energy sector? Around the world energy R&D has not been invested in since the last three decades. India has just entered into this space and can become a big player as the new initiatives in wind and solar projects are rapidly gaining momentum. Indian industries like TATA are coming up with ‘nano’ and ‘Swachh’ water purifier for rural households and GODREJ with its ‘CHOTU COOL’ refrigerators which can efficiently serve in rural areas. India has more than 9 to 11% capacities in renewable, exempting large hydro projects. What do you expect out of the COP meeting in Cancun at the end of this year? I dont think there would be much outcome in the Cancun negotiations; they would be waiting for the next round at Johannesburg. The developed versus developing debate is still a roadblock in the negotiations. In fact, the developing world would be surprised at India’s efficient manufacturing and technological leapfrogging. Since we are on the stage of creating new asserts as a developing economy, we can easily race away from the developed economies which have to change their already existing assets.